TRUTH and HOPE prevail through the amazing world of natural, alternative and integrative cancer treatments. Backed by proven success rates, Bill shares detailed information on healing anti-cancer modalities and the spiritual roots of this modern plague. The Holy Spirit wants you to empowered against disease through prayer, repentance and the liberating power of Yahushua and His Cross! MEDICAL MURDER Architects of Madness The Church of Yahushua (Jesus Christ) was originally responsible for health and healing. In this teaching Dr. Schnoebelen reveals the conspiratorial origins of modern American (pharmaceutical) medicine and how the ruling elite stole medicine from the church and set up a licensed monopoly and how this monopoly seems to be gaining power by withholding cures. He exposes the Iron Triangle’s population control devices and huge money-making empire, and how the FDA, drug companies and medical schools collude together to control and destroy our nation's health. Bill also discusses natural, gentle, Divinely-provided alternatives which we can use to achieve optimal wellness without sorcery (pharmakaeia or pharmacy)! 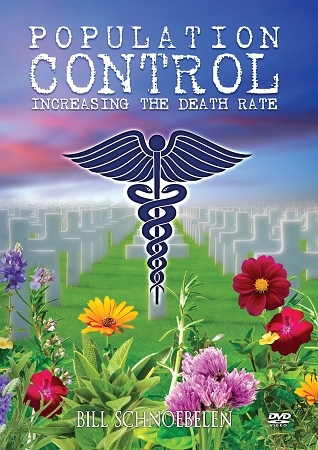 This DVD exposes the pharmaceutical industry's growing control and manipulation of our health care and how the use of psychiatric drugs has devastating results on the ever-growing 'Pharmacyde' of Americans. Learn how and why the church needs to take back its rightful and anointed place as the healing hands of the Father!